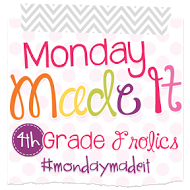 One of the best things about summer is linking up with Tara from 4th Grade Frolics for her summer Monday Made It! Click on the button below to head over to her blog and find some other great ideas! It hasn't been that productive of a summer...yet. But I'm off to a good start! My daughter loved these craft sticks from the library. They were great for making shapes, and I thought they would be perfect for my geometry unit next year. Before we even made it home that night, I dropped by Joann's and picked up some jumbo craft sticks and some small velcro dots. I picked small because I was trying to get more bang for my buck...well, more velcro dots for my buck! Assembling them was really easy. You put 2 fuzzy dots on each end of one side, and then 2 rough dots on the ends of the other side. I would let them adhere for about 24 hours before you mess with them. I was really pleased with the finished product. And my daughter loved them! I can't wait to use them next year in the classroom. Last summer, I jumped on the Teacher Tool Box train. I had so much fun making labels for my own tool box and my friend's tool box. 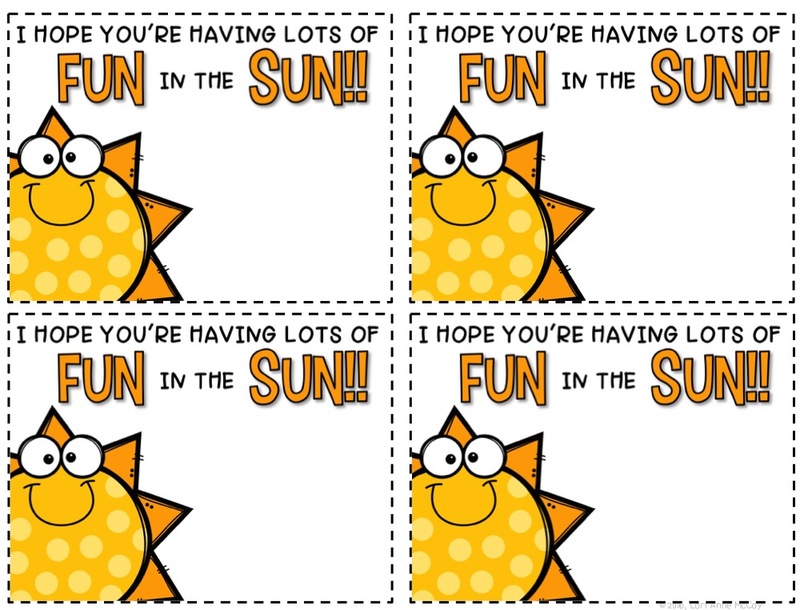 My new teammates have decided this is a must have for them, too...and I volunteered to make their labels! Aren't these so cute??? I was trying to give some font choices. I can't wait to see the finished product. I might even end up updating my own labels! 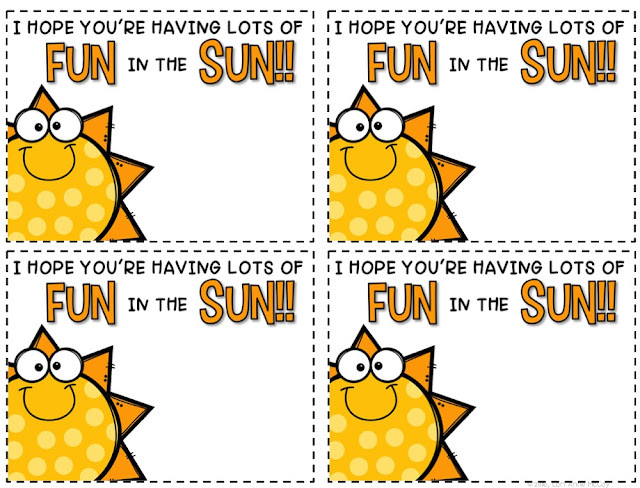 You can click HERE to see my video tutorial from last summer on how to make your own labels. If you follow me on Instagram, you'll know that I love sending postcards to my students over long breaks. I whipped this one up today to get into the mail this week. You can download an editable copy to use for your own students off my Google Drive. Just click HERE to head over there! I have lots more on my Monday Made It to-do list for the summer. Make sure you check back every Monday for more fun ideas! Have a great week! Love a simple yet engaging project! I haven't been super productive either this summer and I'm 100% ok with that :) How sweet to send post cards; I'm sure they love getting mail especially from you! It's called Magnolia Sky! It's one of my favorites! Love all of your designs! So simple and cute :) Thanks for sharing ... I think I might have to send my kiddos some postcards now! Man, all of this is so eye catching!